Having a mentor is simply one of the biggest things you can do to level-jump your success. But where do you start? Ask these 6 people to mentor you. 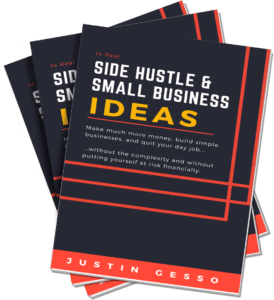 If you read my posts How to Find a Success Mentor and The Top 5 Benefits of Having a Mentor, it’s time to hone in on specific people you want to target. But going on this hunt can seem daunting. In order to simplify the search process, I start by targeting certain types of people. I’ll give some bonus info at bottom about the 3 traits to look for in mentors as you narrow your list. Here are a few of the types of mentor candidates I recommend. If you choose to approach your boss, say you admire their accomplishments. And be specific. Ask them to mentor you “off the clock.” I guarantee that boss will see you differently. And since your boss is in a higher position than you, it’s likely have something to learn. If you then start turning these sessions into positive action, you will make both yourself and your boss look awesome. This is, perhaps, my favorite. It’s similar to #1, but much more powerful. You may be surprised, but I have never had my boss’s boss say no to a mentor request. The stakes are a little higher here, so you need to take your side of the responsibility seriously (re-read How to Find a Success Mentor). Often, the higher your mentor is up the chain, the closer they will be to behaving like a Grinder. These people can probably better prepare you for life after the grind. Plus, if you impress your boss’s boss with questions, informed flattery, and action, only good will come from it. Do you know someone who always has time for their family, enjoys a lot of leisure time, and makes money hand-over-fist? Most of us have a thoroughbred Grinder in our extended network. If this person generally has a very successful, well-balanced life, it’s very likely they’ll be interested in helping others. In fact, helping you will probably fall right into their plan. The trick to this one is the approach. Ensure your story and goals are well crafted. 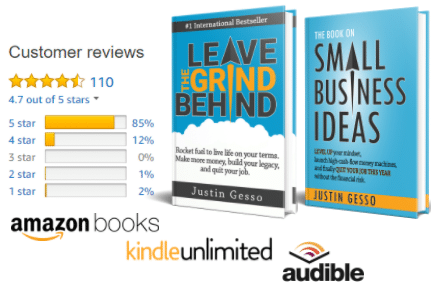 Have everything complete from the first section of my book Leave the Grind Behind. Be clear about what you want, what your purpose is, and what your goals are. Use this as a basis for the discussion. Does your life insurance agent wear a Rolex and drive a Mercedes? Mine does. He’s happy too. Can I learn something from him? Yes. But here’s why this one wins—he will see it as a way to deepen your relationship, thereby making you a lifelong customer. To be clear, I’m not recommending you ask just anybody to be your mentor. Find someone who provides you a service through a company they partially own or for which they are largely responsible. You want someone who is a Grinder or is close to being one. Once you’re at the cusp of leaving the grind behind (quitting that 9-5 to do something better), it’s time to seek out people who can use your expertise in a consultative capacity. If they are successful and doing something big, they will probably need some form of assistance. Figure out how you can exchange your expertise for mentoring. Apart from just mentoring, you’ll gain the ability to be present and involved with someone who has already left the grind behind. Hugely valuable exposure. To this day, I still offer my services at a discount to the right people who are willing to let me in on how they operate. It’s win-win. Many people belong to social or community groups. If you don’t, it’s a great way to quickly expand your network. This might be a church, society, volunteer organization, or country club. Joining an organization like this can be free or carry a fee. Regardless of what it is, I highly recommend you find an organization to plug into. Once you get to know the members, think about which can help you. Since members share a common bond, the transition to a deeper relationship is easy. As you begin identifying candidates, you can narrow down your list by looking for three particular qualities. Quality 1: Have they already achieved what you are looking to achieve? This may seem fairly obvious, but it requires a bit of homework. Starting where someone else has already been is really key to getting anywhere in life quickly, safely, and with minimal hassle. Human progress is based on this principle. Build on other people’s success; don’t start from scratch. You accomplish this by finding the right person, learning their model, trusting the model, implementing it, and adjusting as you go. To put this into real terms, if you decide you want to write a book, find someone in your network who has written a book. Better yet, find someone who has successfully sold many books. If you want to be a millionaire, look for someone who is already a millionaire. It’s that easy. Do you want to achieve some goal no one ever has before? Well, you’re still in luck—look for people who have done something new. These pioneers can be your guide. Quality 2: Have they failed at times yet achieved your goal several times over? What’s even better than a one-time success? Someone who failed along the way, powered through, and then continued to achieve success again and again. Maybe they’ve hit their goal, lost everything, and then amazingly hit it again. Failure is a learning opportunity…nothing more, nothing less. By having a mentor, you simply get to learn from mistakes faster and with less pain. You’re not just looking for failures here. Also look for people who have simply accomplished your goal multiple times in multiple ways. If you want to own a rental home, someone who has purchased 100 rentals is probably a better resource than someone who has purchased one. Quality 3: Did they achieve your goal with a compatible set of values and ethics? This quality is a surprisingly important part of this qualification process. You need to figure out if people accomplished your goal with a set of values that match yours. If not, you will not follow their model. You may even begin to believe you can’t accomplish your goals, because only people with x, y, or z attributes can accomplish the goal. So should I find a mentor that makes a ton of money but travels 90% of the time in order to do so? No. That would be dangerous for me. It might make me believe I won’t be able to get what I want because I’m unwilling to be constantly away from my family. Values are key to living happily. If you to listen to people who have accomplished your goal, but don’t mesh with your values, then you are reinforcing incorrect beliefs. This will make you less likely to achieve your goals than if you hadn’t listened to that person in the first place. Failing to evaluate your values and find mentors with similar values can be very detrimental to your ability to achieve or even start a goal. That’s a great primer on who to target for your mentor.